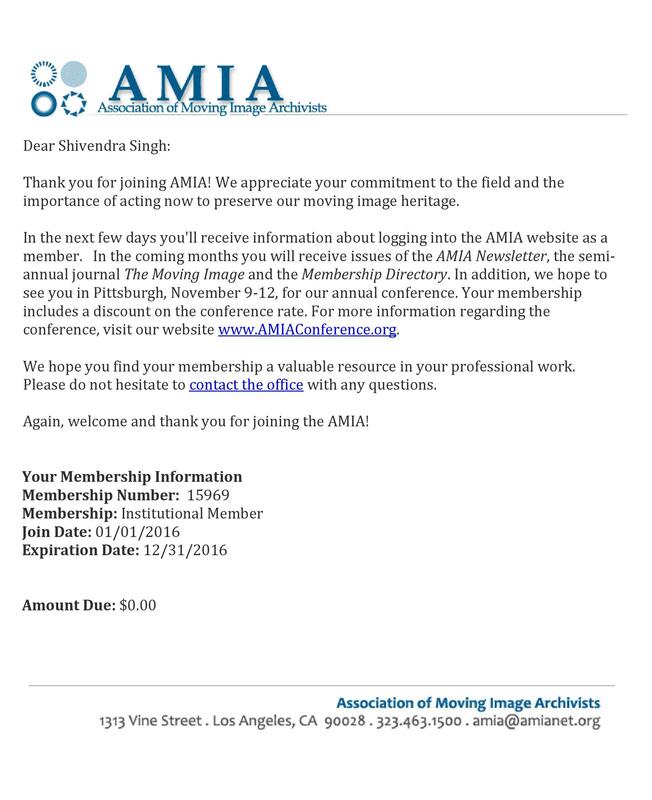 Film Heritage Foundation was accepted as a member of The Association of Moving Image Archivists (AMIA) on January 01, 2016. AMIA is a nonprofit international association dedicated to the preservation and use of moving image media. It is the world’s largest professional association of moving image archivists currently representing over 750 individuals from the United States, Canada and over 30 countries around the world.